Nature Play WA hosted a world-leading neurotherapist to discuss the impacts of gaming and screen time. Royal dad-to-be Prince Harry last week added his voice to the growing movement calling for further scrutiny of the gaming industry amid concerns about addiction in adults and children. His words echo the thoughts of world-leading neurotherapist, Dr Mari Swingle, who visted Bullsbrook to present her thoughts on rethinking screen time at a special event hosted by Nature Play WA and Meerilinga. She believes that screens are the number one barrier to outdoor play and excessive screen use is a major contributor to a lack of wellness both culturally and personally. She believes that kids need face to face, heart to heart and unbound play. Parents and educators are struggling to know what to do because the use of technology is such a new and ever-changing problem - they cannot reflect with older members of their community because they didn’t have to cope with it. Dr Mari revealed some of the obscure labels being bandied around including “Nature Deficit Disorder” and “Vitamin N (Nature) Deficiency”, and while she did not agree with their use, she noted that the medicalisation of these problems could help to raise their profile to the benefit of children’s wellbeing. She talked about the global issues and noted that screen addiction was declared a national health issue in China and South Korea in 2008. In Northern Europe and Scandinavia, children seem to be somewhat protected by more cultural acceptance of nature-centric parenting. She explained how technology affects young brains as gaming and all screens hijack biology. Game designers use addictive design and the multibillion dollar technology companies employ a team of psychologists to manipulate the content of games to encourage maximum engagement/addiction. Children are not fulfilled by the technology so they gorge on it but are never truly satisfied. Research shows that when kids are exposed to screens too much and too young their brains develop differently and it can be hard to rewire them. “Itech” can hijack healthy child development if used too much, too early (under 3 years), when face to face interaction and touch are the gateways which the brain should be using to learn to regulate emotions properly. A child exposed to excessive technology can develop an inability to understand facial expressions which leads to disproportionate tantrums and anxiety. Today’s children now need more arousal to be engaged and cannot cope with boredom because their brains are programmed differently by constant screen exposure, which leads to an epidemic of hyper-arousal. They need a phone to feel better - screens act as an analgesic. 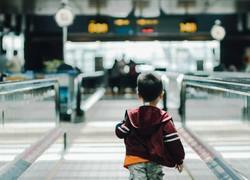 Researchers are also seeing an emergence of autistic-type symptoms in young children with high levels of screen exposure but who do not have autism. In older children and adults, responding to constant phone alerts, beeps and dings can become like collective trauma and leads to anxiety. Being constantly distracted by phones and thus ignoring our kids and giving them the silent treatment is seen by children as a form of punishment. We owe it to our kids to give them our full attention. Nature Play WA is a not-for-profit association established to increase the time Western Australian children spend in unstructured play outdoors and in nature. Dr Mari Swingle has written a book grounded in scientific evidence about screen time and technology called i-Minds.